GoodReads Summary: Surrounded by enemies, the once-great nation of Ravka has been torn in two by the Shadow Fold, a swath of near-impenetrable darkness crawling with monsters who feast on human flesh. Now its fate may rest on the shoulders of one unlikely refugee. Yet nothing in this lavish world is what it seems. With darkness looming and an entire kingdom depending on her untamed power, Alina will have to confront the secrets of the Grisha...and the secrets of her heart. A dark and delicious debut with action, suspense and romance! Leigh Bardugo has done an exceptional job with the world building. The descriptions were so rich and beautiful that I felt as if I were there with Alina on her dark and dangerous journey. The romance is breathtakingly beautiful, and the friendship between Alina and Mal -that came before the romance- was wonderfully crafted and had me wishing for a Mal of my own. He was by no means a perfect character - he had flaws, he made mistakes, but that is what made me fall for him. Shadow and Bone has quickly made it to my favourites shelf and even now, weeks after reading it, I find myself thinking about it! I love books with great world building. I'll be on the look out for this one. I am really dying to read this book! 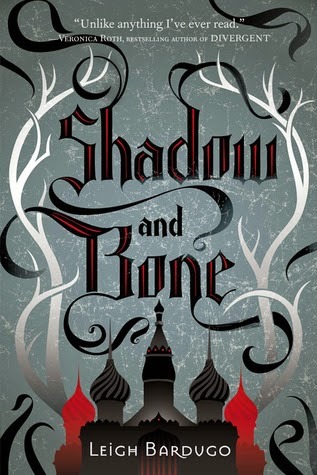 At first, I thought I haven't heard of this book before but now I know that it's the UK's title for Shadow and Bone in the US! And what a gorgeous cover! Awesome review, Renu! ♥ Glad you enjoyed it! The worldbuilding sounds amazing, I LOVE when the author takes the time to give the world justice. So, so, so excited to read this! Fantastic review! I loved this book and I completely agree with you about the world-building. 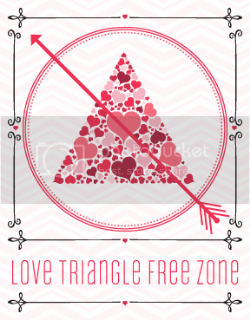 As of right now I don't think it was a love triangle either. But...I don't want to completely rule that out as I think the Darkling will come back in to the picture at some point.